This is a unique and pioneering survey of the ancient and contemporary (1937) African world. Huggins views Africa and African accomplishments from a decidedly African-centered perspective. A strong supporter of Ethiopia and its fight against fascism, Huggins devotes a detailed chapter to Ethiopian history and the war with Italy. Huggins successfully wrote this book for students, independent study groups, and the general reader. This edition is not to be confused with John G. Jackson s later book which has the same title. Huggins was one of Jackson s mentors. Comparing the two books one can see how Jackson was influenced by Huggins, a seldom-noted member of the Harlem historians. 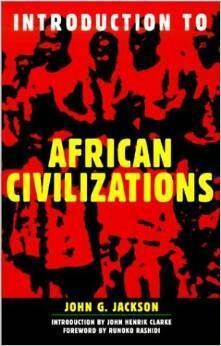 With the republication of the original Introduction to African Civilizations, readers now have access to Willis N. Huggins his ability as an historian, his dedication as an activist, and to one of the more important works produced by a Black self-trained historian.